In today's busy world, it's often difficult to enjoy your pond during the day. Underwater lighting changes all that, extending viewing hours after the sun goes down. Choose from economical halogen options or the newest technology LED lighting- available in both underwater or open air units. We have a large selection of spotlights, waterfall and accent lights as well as transformers, timers, photocells and related accessories. These kits offer everything you need to create a beautiful nighttime focal point. They include lighting and transformer. Some even include photo-cells. LED lighting systems make it easy to turn your water feature into a day and night attraction. These lights are multi-purpose as they can be used underwater or in open air installations. Create a vibrant nighttime atmosphere with 48 different colors and 16 different color changing combinations. From 10 watt to high output 250 watt lights, submersible and external- you're bound to find the perfect light for your application. 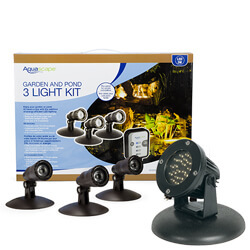 Aquascape Path and Area 3-Watt LED Landscape Light 6-Packs make it easy to illuminate any landscape or outdoor area. These transformers are designed to be used with LED and Halogen fixtures. Available with optional photo-cell and timers. From replacement bulbs, extension cables, to photo-cells. 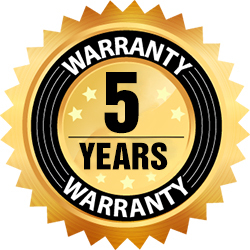 You'll find all the necessary accessories and replacement components here. Atlantic's all new SOL Lighting features solid brass bodies with an oil rubbed bronze finish that adds class to your application while reducing the heat emitted. Available in both 2 watt and 6 watt warm white bullet styles and in a light Ring perfect for fountains and waterfalls, these lights are a great way to enjoy your water feature after the sun goes down. For those looking to bring more than just a warming glow to your evening, Atlantics all new Color Changing SOL LEDs are the solution. Just like our popular Color Changing Colorfalls, these LEDs create a vibrant nighttime atmosphere with 48 different colors and 16 different color changing combinations. Multiple LEDs can be connected to be run through one transformer and be controlled together, all by remote! EasyPro offers one of the largest selections in underwater lighting of anyone in the country. 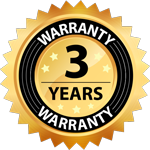 From the industry standard 20 watt halogen lights to low voltage LEDs to fiber optic systems, they have a lighting solution for nearly every application.